The Haut-Médoc is a sub-appellation within the larger Médoc appellation on the left bank of Bordeaux. Situated between the Gironde estuary that runs down to the city of Bordeaux and the Atlantic coast, this is the home of some of Bordeaux’s famous chateaux. The six famous communes of the Médoc are contained within its boundaries: Margaux, Moulis, Listrac, St Julien, Pauillac and St Estèphe. The vineyard land that lies outside of these communes is classified as the Haut-Médoc; the result being that you can often find well-known Cru Bourgeois chateaux alongside the Cru Classé chateaux in the same appellation. Rather confusingly, the Haut-Medoc is located in the south of the Médoc region and extends down to the city of Bordeaux; the southern most classified growths of the Haut-Médoc being Chateau La Lagune and Chateau Cantemerle. In the north of the Médoc peninsula, furthest away from Bordeaux, the vineyards are classified simply as Médoc. Haut-Médoc wines offer reliability and consistency. Produced primarily from Cabernet Sauvignon grapes, small amounts of Cabernet Franc, Petit Verdot and Merlot can also be found in the blend. The wines tend to be quite rich and structured with classic Bordeaux flavours of blackcurrant, cigar, oak and plums. Usually good to drink quite young, these wines can age well for about ten years. They work well when paired with grilled meats and stews. We tasted a lot samples before discovering this very pretty Haut-Médoc which we have included in our ‘sélection THIENPONT’, our list of favourite Bordeaux appellations. We are delighted by the price and quality of this estate, which is ideally situated between communes of Margaux and Moulis. Organically cultivated with a blend of 53% Merlot, 23% Cabernet Sauvignon, 19% Petit Verdot, 5% Cabernet Franc, the wine is matured in oak for 1 year. Attractive deep purple colour with hints of violet. The nose, at first restrained, develops with dark fruit and vanilla notes. The palate is supple with a powerful texture, lots of finesse and tightly-knit, fine-grained tannins. Notes of black fruits, imparted by Cabernet Sauvignon and Petit Verdot, are nicely balanced and suplemented by the plump roundness of Merlot. 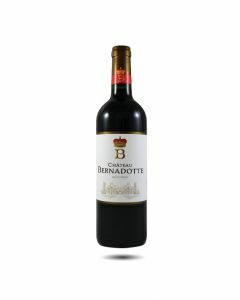 Bright raspberry colour, black fruits and oriental spices on the nose, this is a concentrated wine with lovely texture. The start is round and spicy leading to a neatly structured, fruity palate with a touch of vanilla. A pretty finish. 20% of the vineyards were lost to frost this year. The blend is 70% Cabernet Sauvignon, 25% Merlot and 5% Petit Verdot. Deep crimson colour and a pretty in the nose with fresh autumn berry fruit and a hint of oak; lush and silky on the palate with plums, tar, licorice and oak, quite classic but there is a nice vein of acidity and fruit. Nicely balanced and composed. I have always loved the fruit and the structure of this wine and believe that it reflects great value so we were delighted to receive a new allocation of this wine this year. A Haut Médoc fifth growth situated just south of Giscours, this wine shows lots of sweet black fruit flavour underpinned by some notes of tobacco and spice. The structure is fine and precise and on the palate the wine opens up to reveal more fruit, toast and cedar. A super achievement. 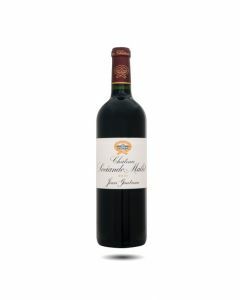 A classic vintage for this well-known Haut Médoc estate with a large proportion of Cabernet Sauvignon in the blend. Very deep crimson colour; nose is full of cassis, a touch of earthiness and spice. On the palate the wine is quite silky and fresh with juicy cassis flavours leading to a firm tannic structure on the finish.